Brad Paisley is a critically acclaimed singer, songwriter, guitarist and entertainer whose talents have earned him numerous awards, including three GRAMMY's, two American Music Awards, 14 Academy of Country Music Awards and 14 Country Music Association Awards (including Entertainer of the Year), among many others. For Jeff & Sheri Easter, gospel music is genetically programmed into their DNA. As members of acclaimed musical families—Jeff’s father is one of the Easter Brothers and Sheri’s mother is a member of The Lewis Family—they grew up surrounded by the sound of people praising God through their musical gifts. 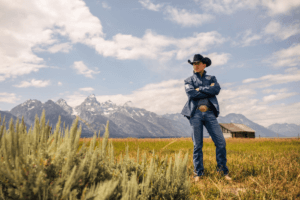 When Jason Gray explains that his last three records were written in the hardest years of his life, he’s not being dramatic. He’s just stating facts. And when he says that his new Centricity Music project—Where the Light Gets In—is a brighter and more hope-centered travelogue of the next leg of that journey through deep sorrows, he’s not suggesting easy platitudes, but an active sense of God’s redemptive presence at work even in the midst of difficulties. Ricky Skaggs was born on July 18, 1954 in Cordell, Kentucky, and received his first mandolin at the age of five after his father, Hobert, heard him harmonizing with his mother from across the house as he played with his toys. Two weeks after teaching him the G, C and D chords, Hobert returned from working out of town shocked to see his young son making chord changes and singing along. He soon earned a reputation among the locals in his community. 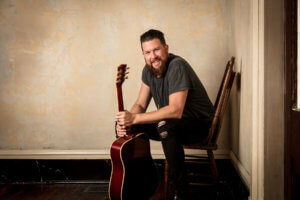 Zach Williams wears many hats from husband and father, to church staff and worship leader. Most recently he can add recording artist to the list. Zach is no novice to the music industry. He had spent a majority of his life traveling with various bands. It was while on the road that the Lord grabbed a hold of him and he decided to leave the rock star life behind. The women of Point Of Grace have provided a soundtrack to our lives for over two decades. With faith filled, and passionate lyrics, their memorable melodies and soaring harmonies have inspired generations to live boldly and keep Gods love as the foundation of their lives. It’s no secret Charles Billingsley is one of Christian music’s most captivating Inspirational voices, but for this singer, worship leader, husband, father and teacher—to name but a few of his leading roles—it’s what’s behind the music that has truly made the man. Launching his career more than two decades ago fronting GRAMMY®- nominated genre giants NewSong, Charles has since headlined more than 3,000 concerts and released 24 recordings as a solo artist.